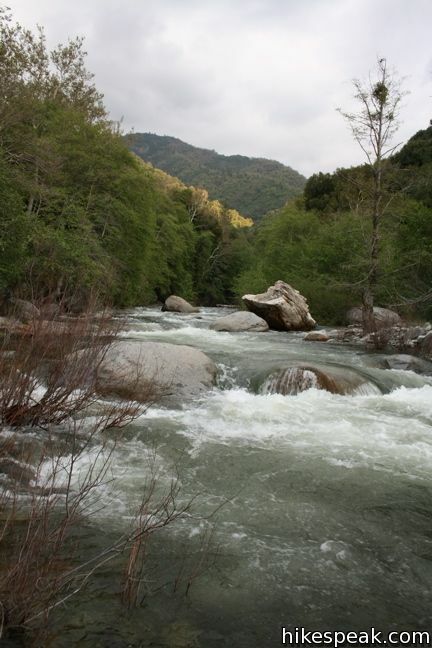 During a spring visit to Sequoia National Park, temperatures in the high country can still be quite cold. Night time temperatures can fall below freezing and there will be snow on the ground in places. While that may not sound pleasant, camping in the foothills during this time is perfect. 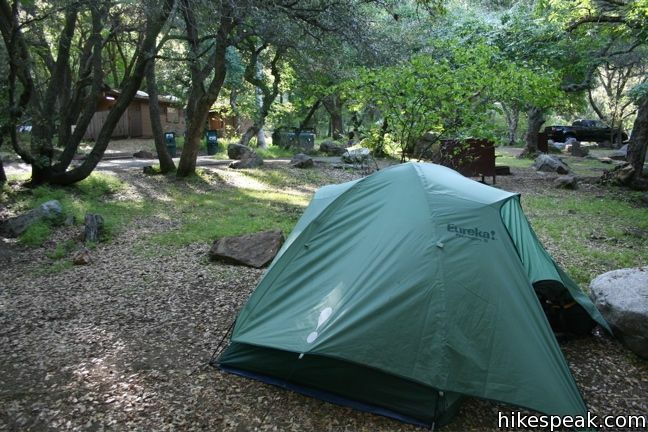 There are two campgrounds to choose from. Both offer plenty of shade and mild evening temperatures. 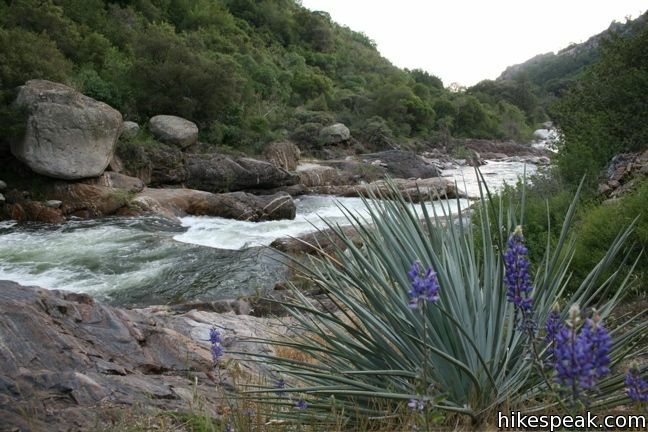 Potwisha is just four miles from the southern park entrance and sports 42 campsites. 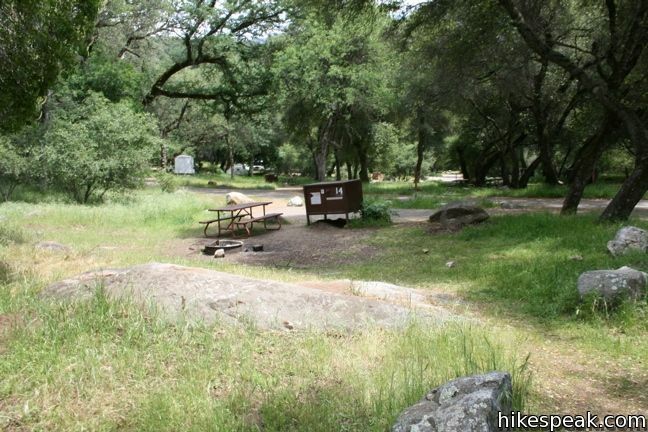 Campsites are $22 per night and available by reservation from May through September at recreation.gov (price as of 2018). The campground is open year round. 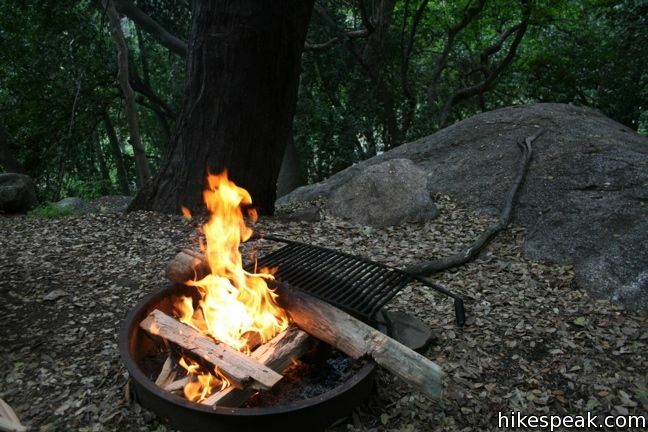 Each site has a fire pit, picnic table, and food storage locker (bear box). The campground bathrooms have flush toilets. 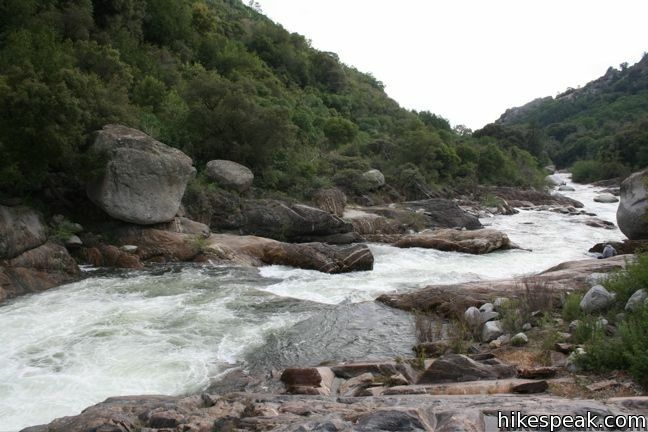 The campsite is adjacent to the Marble Fork of the Kaweah River and serves as the trailhead to Marble Falls. 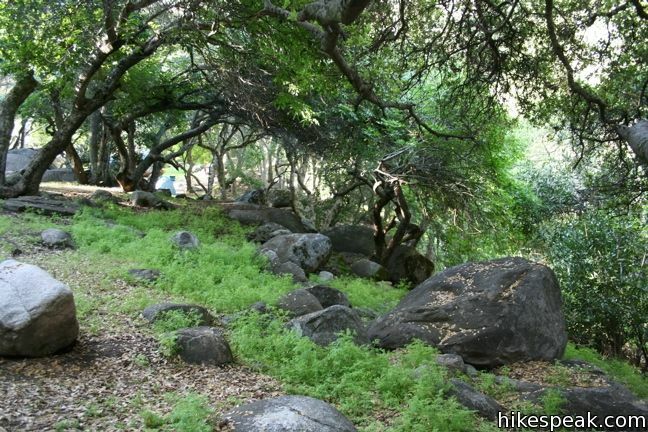 At 2,100 feet, Potwisha is hot in summer, snow-free in the winter, and perfect in the spring and fall. Sequoia National Park’s main attraction, the Giant Forest Sequoia Grove is a twelve mile drive away. 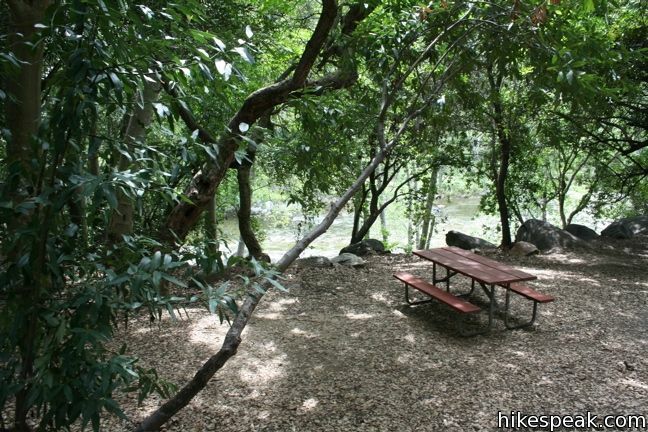 Potwisha Campground has a dump station and accommodates RVs (for those who camp that way). 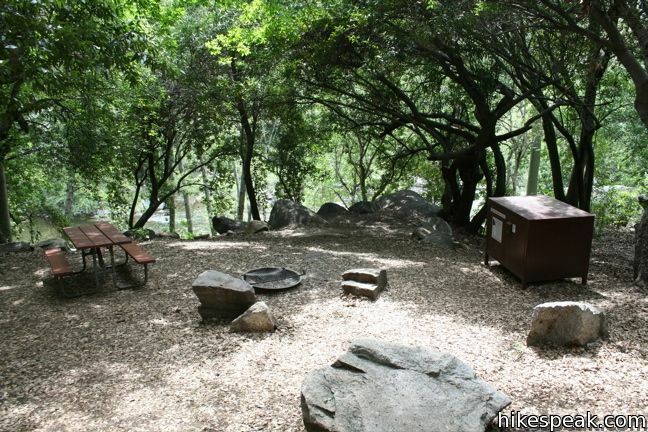 Otherwise, take a look at Buckeye Flat Campground which is 2.8 miles from Potwisha with 28 sites and similar amenities. 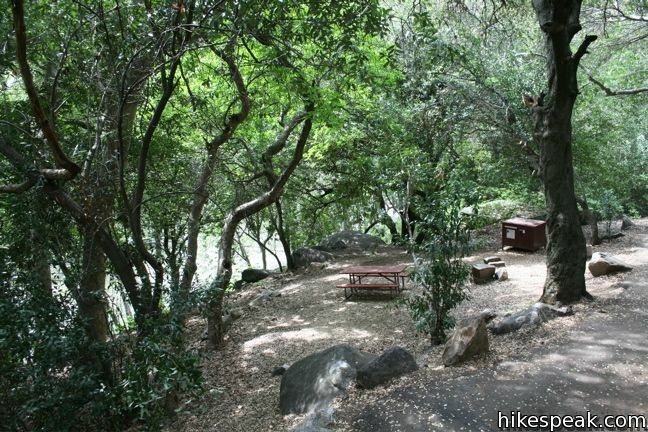 To get to Potwisha Campgrounds: From Southern California, take the 5 North to the 99 North. After 96 miles, take California Route 198 East toward Visalia. The 198 leads straight to Sequoia National Park, where it becomes the Generals Highway. 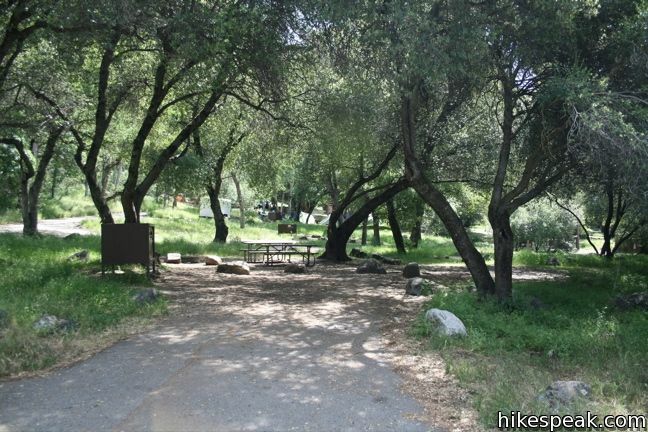 Potwisha Campground is 3.7 miles past the park entrance, on the left (north) side of the road. 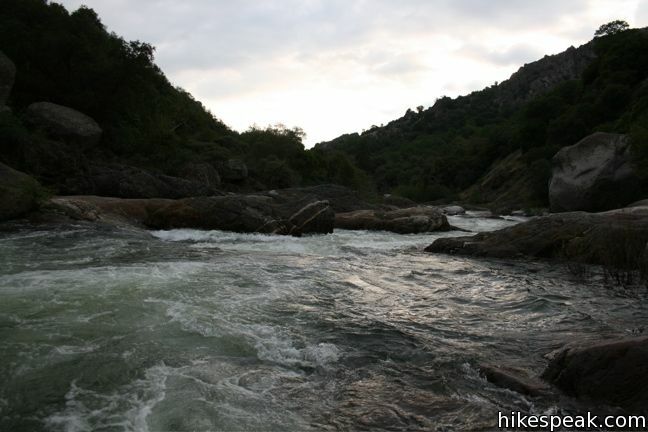 A short hike to Paradise Creek departs from the campground and should be visited by anyone staying in the foothills. 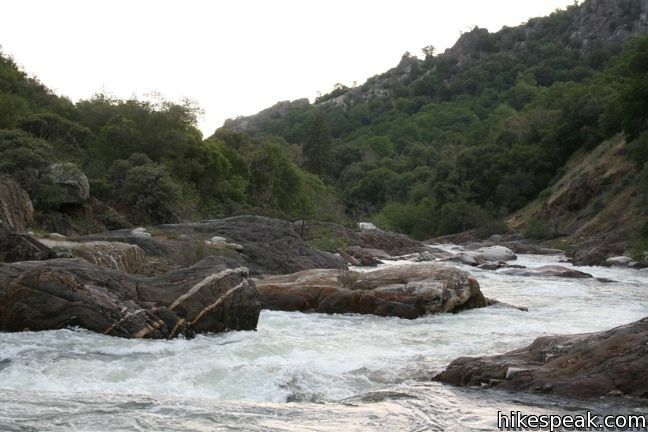 While the waters of the Kaweah River are active and violent, the aptly named Paradise Creek offers several swimming holes that are perfectly relaxing. The Middle Fork Trailhead is 1.3 miles east of the Buckeye Flat. 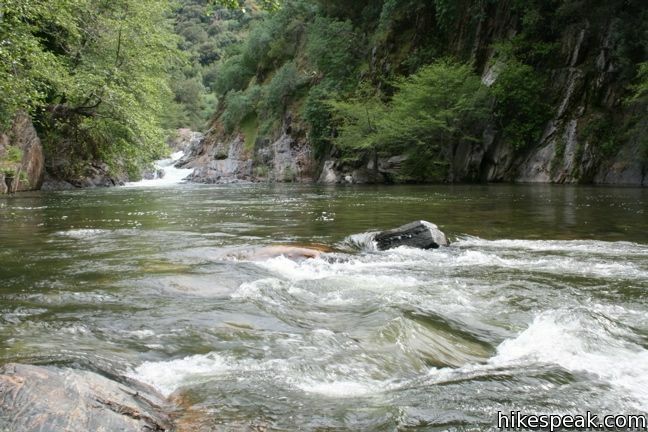 From here one can hike to the falls at Panther Creek and beyond into all of the Sierra. 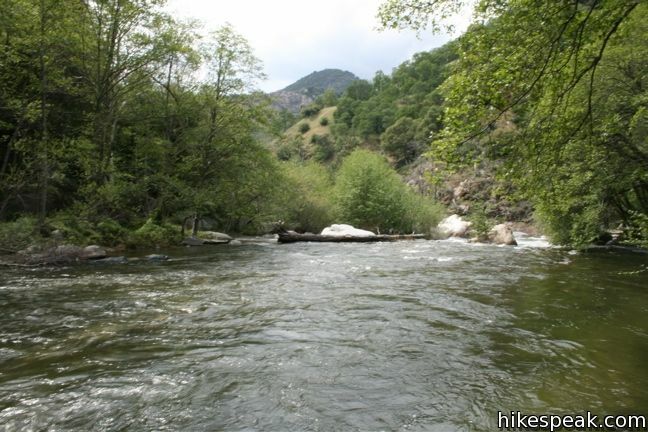 Buckeye Flat is less-crowded and the proximity to the Kaweah River and Paradise Creek make it quite favorable. 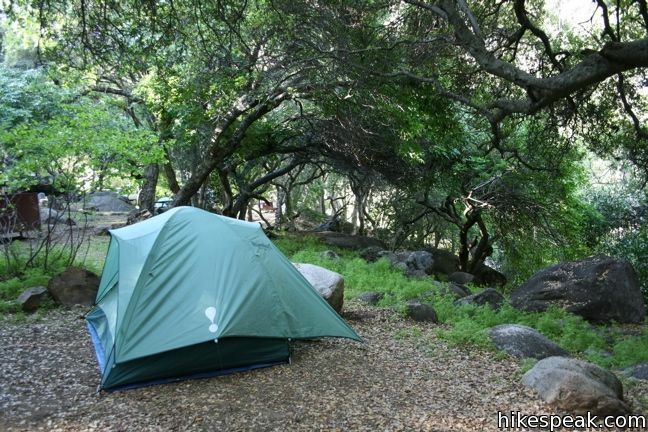 For more on these and other campgrounds, visit the Sequoia and Kings Canyon National Parks Campgrounds. 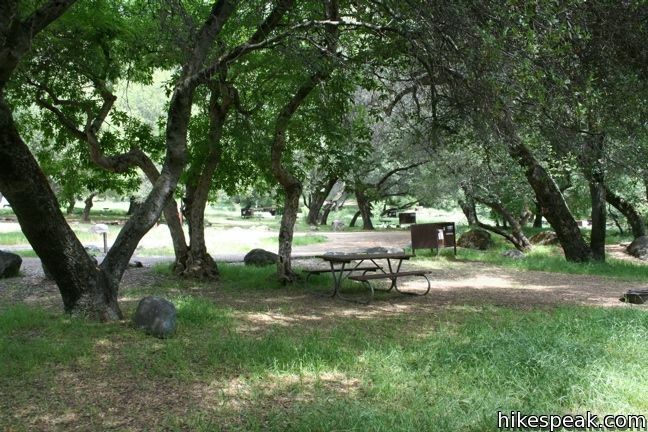 To get to Buckeye Flat Campground: From Southern California, take the 5 North to the 99 North. After 96 miles, take California Route 198 East toward Visalia. The 198 leads straight to Sequoia National Park, where it becomes the Generals Highway. Six miles past the park entrance (and a couple miles past Potwisha Campground), you will reach Hospital Rock. Turn right here and drive 0.6 miles farther east on a narrow paved road to Buckeye Flat. 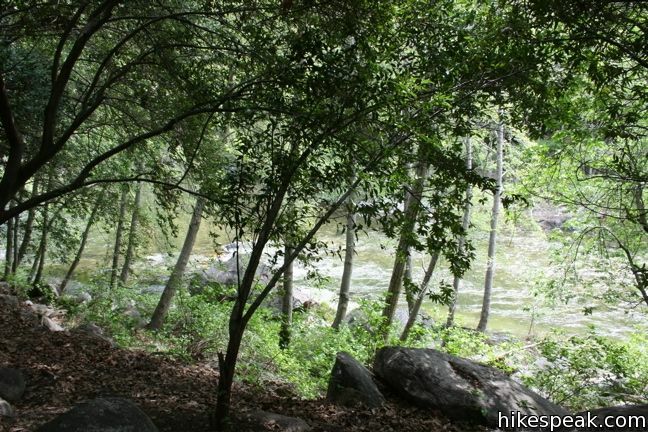 This short stroll leaves Buckeye Flat Campground to visit the perfect swimming hole for a hot summer day in the Sierra. 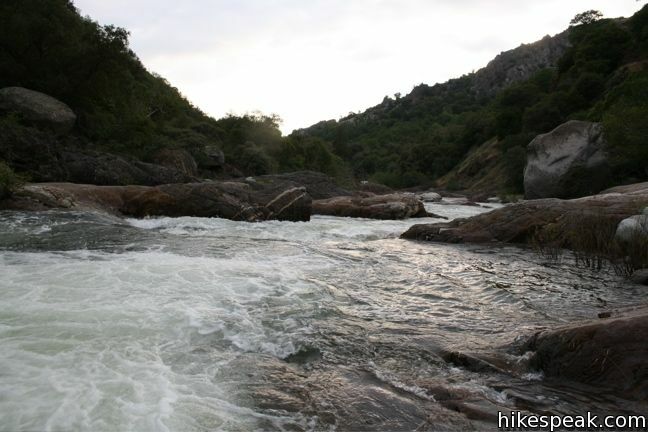 This 6-mile hike follows the Middle Fork Trail to a 100 foot waterfall that drops into the Middle Fork of Kaweah River.